Modì apples have received the tick of approval in a blind taste test run by Freshmax. 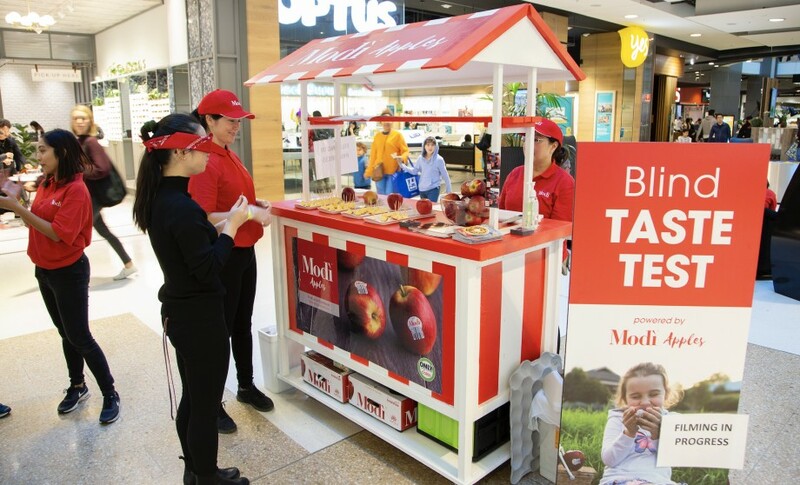 Conducted at Westfield in Bondi Junction, Sydney, the test saw Modì apples showcased alongside other popular apple brands from across Australia. Consumers were blindfolded and asked to select their favourite apple based on two key criteria: crunchiness and juiciness. 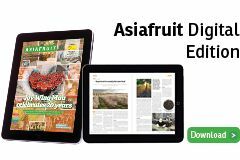 Around 85 per cent of participants reacted positively to Modì apples. The event was designed to create a competitive advantage for Modì by harnessing the power of consumer opinions and challenge current methods of produce marketing. “Activations like a blind taste test help us not only to understand how Modì is perceived by the consumers but also to create a fun and memorable way of enjoying Modì apples,” said Sona Padman, Freshmax campaign manager. At the taste testing, a copy of the recently launched Modì recipe book was also given out. Consumers were also given branded fridge magnets and other giveaways. “This better drives the brand into the home and ensures recall when shopping lists are being built,” Padman added. 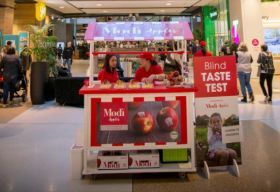 The blind taste testing was the first of its kind conducted by Freshmax, which holds the exclusive marketing rights to Modì across Australia and New Zealand. 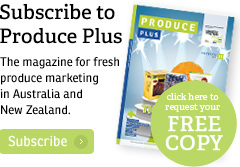 "Freshmax has a long-standing track record for innovating in the marketing and brand space and these days our biggest mantra is to make sure that any campaign elements that we engage are both content-orientated and as multi-channel as possible,” said Matthew Crouch, group marketing manager of Freshmax.